It’s important to the Van Every Family Chiropractic Center team that we’re a force for positive change in the lives of our community members. You’ll often see us participating in various events and holding talks in the area, informing people about chiropractic and healthier living. Van Every Family Chiropractic Center is a proud member and supporter of the Royal Oak Chamber of Commerce. Helping communities celebrate survivors, remember loved ones lost, and fight back against cancer. Promoting exercise for all and a healthy way of living, this run is fun for the whole family! This silent auction raises funds to help improve our local school, Helen Keller Elementary. 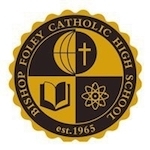 Bishop Foley Catholic High School Girls’ Night Out is a luau event for the students. Fundraising auction for Royal Oak High school students, and other local and international projects. Raises funds for park improvement projects, and our new arboretum in Worden Park East. An innovative program providing networking, support, workshops, education, and activities. 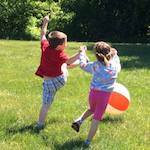 Funds raised provide scholarships for child care, after school programs, and much more. The Royal Oak Optimist Club’s biggest annual fundraiser. A fun event benefitting local children. Helping Troy Chamber of Commerce members connect with local business leaders. Providing necessities for local seniors. A great place to donate, helping seniors in need. Clawson High School’s fundraiser helping obtain needed supplies for performing art students. The Boys and Girls Club of South Oakland County services over 2,400 local children. Oak Arbor School is a non-profit school with enrollment for students pre-kindergarten to 8th grade. We look forward to meeting you and discovering how we can help you! Contact us today to get started.